The highest level of manufacturing and engineering expertise will also require the best service and maintenance. That's the idea behind the service center at our Thousand Oaks, CA Porsche dealership serving Los Angeles, where you'll want to bring your luxury model for all kinds of maintenance and repair work. Whether you're keeping a classic Porsche in working order, or you're staying on top of a new model's maintenance schedule, we're the best spot for repairs and service. It's easy for independent auto shops and garages to compel drivers to get maintenance and repairs taken care of away from dealerships. But when it comes to the intricately designed engines, brakes, suspension systems and other important parts of a Porsche, you'll want the experts. We regularly offer service specials as well, keeping the costs of your repairs and maintenance as low as possible. 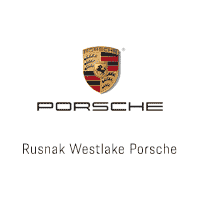 Choose the expert service staff at Rusnak/Westlake Porsche here in the L.A. area and keep your luxury car running as great as ever.